The color and gemstone (crystal) of the week will help you best handle and harness the energies of this week. I have brought out the gemstone of the week first and foremost for everyone, who loves gemstones and feels that gemstones speak to them. So if you are not a fan of gemstones, then you really do not need to focus on the gemstone. But for those of you, who love gemstones, it will be very easy to harness the energy of the weekly gem – you can carry that particular stone with you (a small piece is sufficient) or you can also meditate with that stone. This is especially recommended if you have some difficult situations or questions come up during this week – meditation with the gem of the week might just help clarify the answers and solutions for you. You can be very creative with the color of the week. For example, you can wear clothing of that particular color during important meetings or events. However, the energy of this color can of course be harnessed in various ways. Be extremely creative with the color of the week. Last week the angels gave us a lesson on the feeling of pure joy. They told us that this feeling had been manipulated for so long that most people do not even know anymore, how it is supposed to feel like. They said that this was precisely the reason, why so many people struggle to let joyful things into their life. They do not know the actual feeling of joy, but in order to manifest something, you need to know the feeling of it first. During the last week, they also said that we would experience joy through a very peculiar series of events. Regarding the upcoming two weeks, all cards indicate that now we will get to experience a truly magnificent and powerful wave of joy. This energetic wave seems to be like a typhoon. It will not be just a small storm or a small wave. Something truly wonderful will now come into our lives. In addition, this energy indicates that these new aspects will not be just new, they will be truly innovative. Meaning, they will be surprising and very fresh. It seems that these are experiences, opportunities, meetings, happenings that we would never know to expect, even if we wanted to analyse the current situation with the aim of understanding what could come out of it. These events will most likely be either completely disconnected from what is currently happening or they will just turn up in such a surprising manner that you would never know to expect it. However, as with all storms, there will definitely be areas that will suffer destruction, instead of joy. And there will be areas that will remain completely out of the path of the storm. The angels say that if you wish to take part in all of the wonderful aspects that this storm has to offer, then learn the lesson of joy very carefully and thoroughly that the angels brought to you during last week. Since I am publishing this horoscope very early due to my vacation, then you still have plenty of time to read over the horoscope of last week and pay careful attention to the occurrences of the past week (which is actually still the current week during the time I am publishing this horoscope). The angels say that do not worry about this lesson – if you really want to learn something, then it does not have to take years to master it. Regarding this current lesson of joy, they want you to know that you can learn this in a matter of seconds. You just need to pay careful attention to the lesson that they now bring you. You might suddenly be offered an excellent opportunity to move (either to another country or within your home country). This could especially happen if you have recently moved. You could still be tired from the last move, but since this new opportunity is so amazing, then you will gladly pack your things and get going in this new direction. You might suddenly be offered a new job that has nothing to do with your previous working experience or education, but you simply know from the moment you are offered this position, that this is something completely right for you. You might also see this type of job advert somewhere and decide to apply, although perhaps a moment ago you didn’t have any desire to change jobs. You might suddenly realize what to do as a hobby. Perhaps you have been long struggling with finding a hobby for yourself and nothing has seemed right for you in the past, but now you receive inspiration from a very strange place and thereafter you just know what you want to do. Moreover, perhaps a few moments later, you realize that you actually can transform that hobby into your daily job that you love. If you have a business, then you might suddenly get inspiration to do things completely differently or to start a new endeavour that has nothing to do with what you have been doing so far. In any case, it seems that what will come, will be extremely surprising. These are not just regular flashes of inspiration. These innovations are more like a meteor shower, which means that this huge storm containing inspirational energy is there, but you don’t know, when and how this inspiration can strike you personally. Sometimes you just look in the wrong direction and you do not see a shooting star, although the meteor shower is taking place that night. This energy wave seems to be a bit similar – the meteor shower is there, but you need to kind of tune in, in order to be a part of it. The angel tarot cards indicate that many events will now start moving forward. These will most likely be events that have been at a stalemate for a while already (perhaps in some occasions even for years). That means that you might experience these joyful innovations in many areas of your life, not just one. Also, it seems that we need to make some decisions based on this new energy that arrives. The angels emphasize that you should make these decisions strictly based on your own intuition. Please do not let other people influence these decisions. They do not know what your life goals and purposes are. And they cannot feel what you feel. Only you know, what FEELS right for you. If you are afraid to make a certain decision, because you are afraid that your family members will not like it, then please keep in mind that you actually heal all people when you live your life according to your own intuition. We are all energetically connected. If you boldly listen to your intuition and act based on it, then you energetically help others do the same for themselves. From the wonderful world of music the song “Miriam Makeba – Pata Pata” describes best the energies that will prevail during the upcoming week. And once again, I note that this song (lyrics+music) is not that important with respect to this weekly horoscope. The combined energy that it carries is important here. To specify – this is the reason, why I mention a song each week…to me the combined energy of that particular song is similar to the energy of the upcoming week. Starting from the horoscope of week 47 (2016), the angels are guiding me to let you know that my nature photos have energetically healing properties. Since I have used my nature photos as the photos for my online angel cards, then from now on, my online angel card that pops up as the weekly card, can also be used as a meditation device that will help you manifest your dreams or help you find a solution to some situation. Once you have found this card, you can see a nature photo in front of you. (If more than one card popped up as the weekly Online Angel Card by Eva Tenter, then choose the one that you feel most drawn to as your weekly meditation card.) To meditate with this photo, just sit back and relax. Look at this photo and think about your dream that you would like to manifest or about that situation that you would like to solve. Shut off all other programs on your computer so that nothing can disturb you and just softly gaze at this photo. You can listen to your favourite music in the background. While looking at the photo, think about your dream or the situation for which you are seeking a solution. With regard to dreams, think about some very practical matters that would come about with the manifestation of your dream. With regard to finding a solution, think about how your life would be different if that situation had already been solved. Really think about practical matters and steps that would be essential in order for your desired outcome to be able to come to life. Think about such practical matters in as much detail as possible. And thereafter be prepared for something to occur in your life that might have been called a miracle before. In the new era, a lot of the things we used to consider miracles become a normal part of our everyday lives. We can be sure of that. During the New Moon it is energetically an excellent time to start new things. That also includes both physical and non-physical aspects of your life. Also, just a small reminder that these general horoscopes are general in nature. Hence, they might not resonate with you. Always use your intuition upon deciding which suggestion or piece of advice given in these horoscopes is suitable for you. In addition, the general horoscopes that I make are channelled horoscopes. That means that these are basically energy readings for a certain time period that contain messages from Spirit. 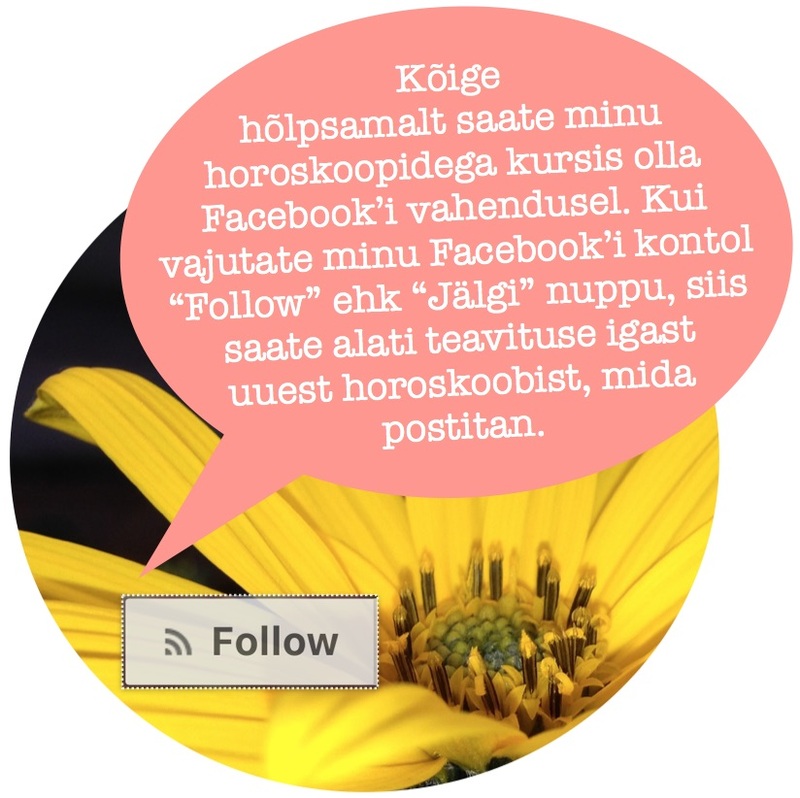 How to follow my horoscopes? If you like my channelled horoscopes and would like to receive a notification immediately when I post a new one, then you can follow me on Facebook, Twitter, Google+, Instagram or LinkedIn. I share these weekly horoscopes to all of these sites. The links to my profiles are in the upper right corner of my website.